Baum-Kuchen: A gift of fresh green! 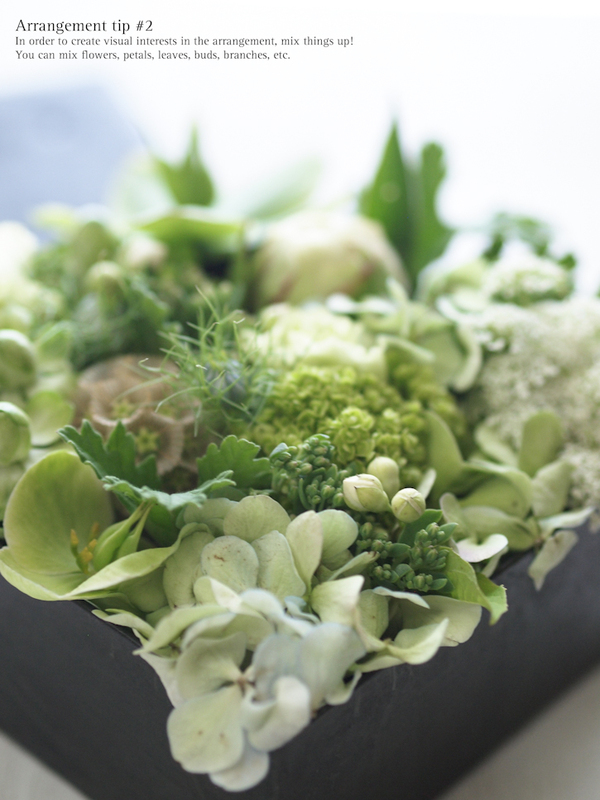 We wanted to share an easy way to create a flower arrangement... so we asked Lisa - our lovely friend in Tokyo who has been practicing flower arrangement for years - to share a secret recipe for a simple but elegant flower arrangement. 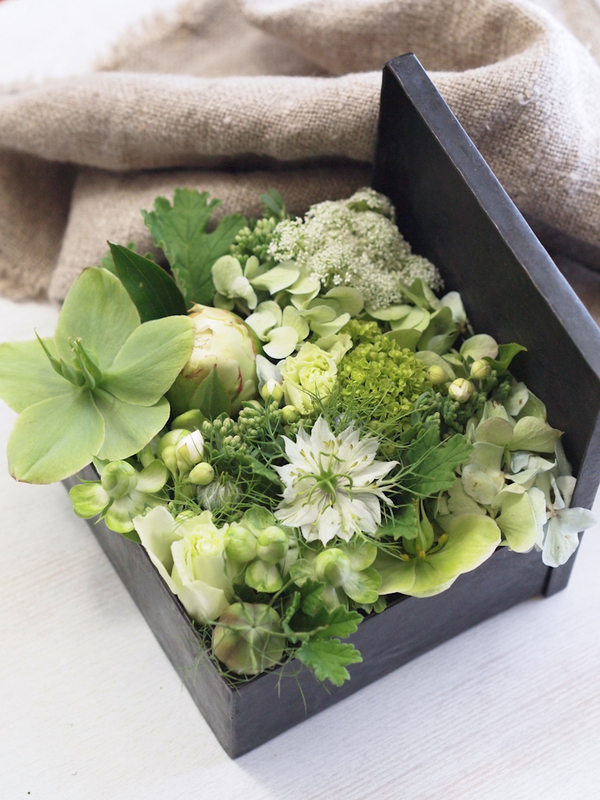 "Boxed arrangement can be approachable even though you are new to flowers since you have a box as frame and a a floral foam as foundation. 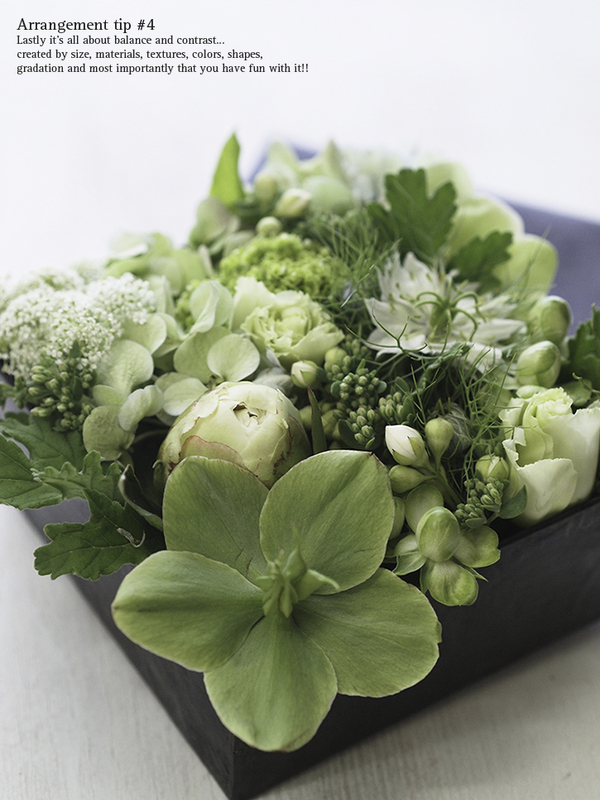 Using shades of green takes away the color scare! (I know some men can fall into this category... I am not naming whom:) Greens are also appropriate since May is definitely the season for fresh new sprouts! What can be more "shun" (means "in season"... in Japanese) when we consider Japanese aesthetics." 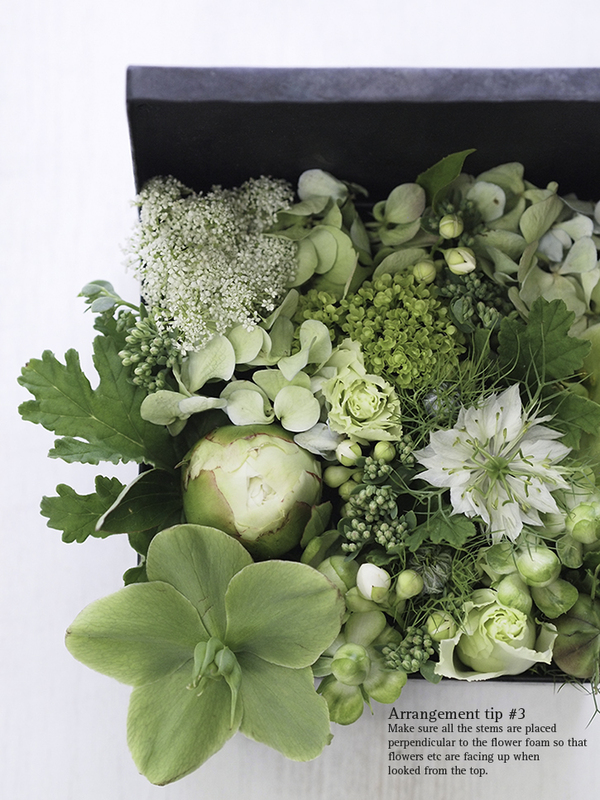 You can see below photos to find out what you need to compose a fresh green boxed arrangement... followed by useful tips from Lisa! 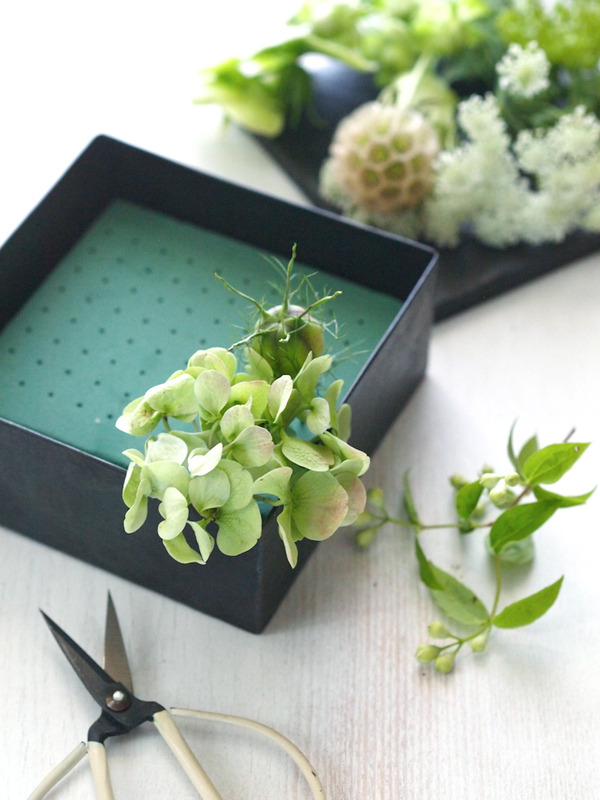 - You can easily cut floral foam to fit into any container you are using. - If you choose to use non waterproof box (like a paper or cardboard box), simply place a cellophane sheet to avoid water from leaking. 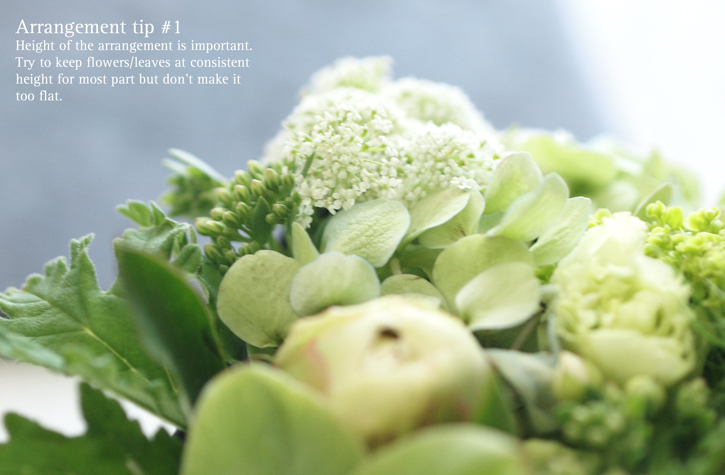 - Make sure to soak the floral foam in the water before you start creating your arrangement! 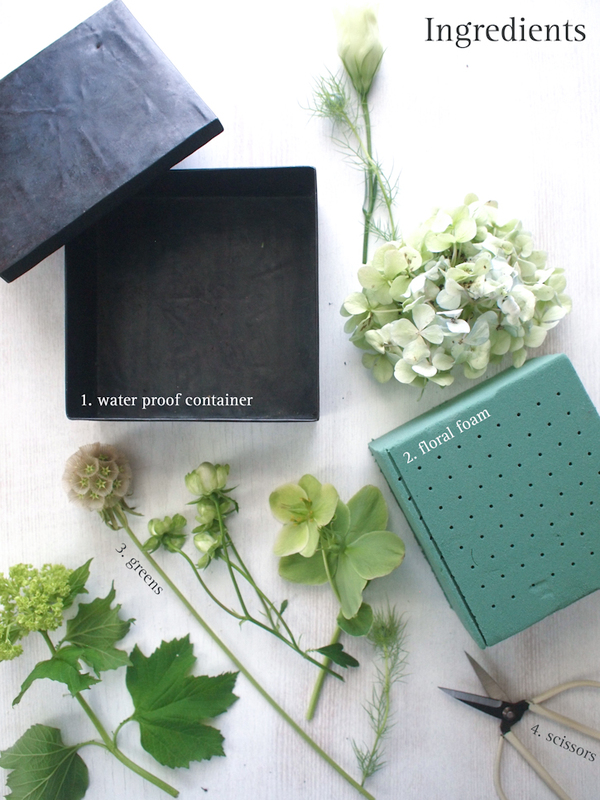 - Check the floral foam everyday to make sure that it stays moist. If it is dry, add some water. - Spray water daily to flowers and foliage to keep the arrangement fresh. - If one flower gets bad, neighboring flower tends to be affected as well. So make sure to take away individual flowers that are getting old from the arrangement. You can add and subtract to adjust the arrangement as days (or sometimes even weeks) go on. Concept and photography by Lisa Yamaguchi.